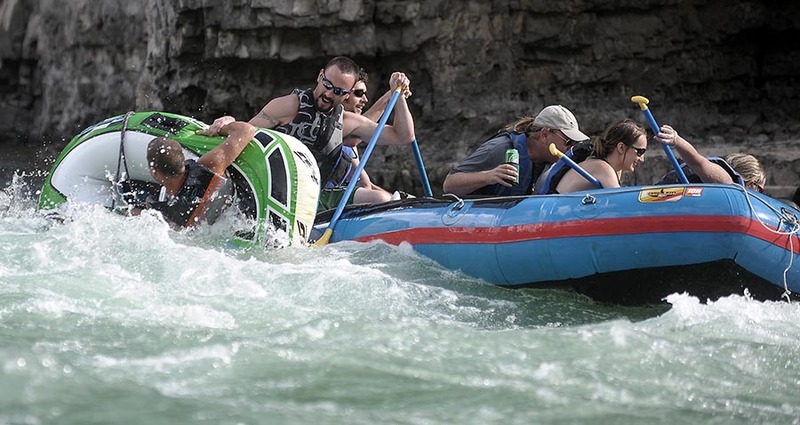 Invisible wizards soak rafters on Wyoming's Snake River. 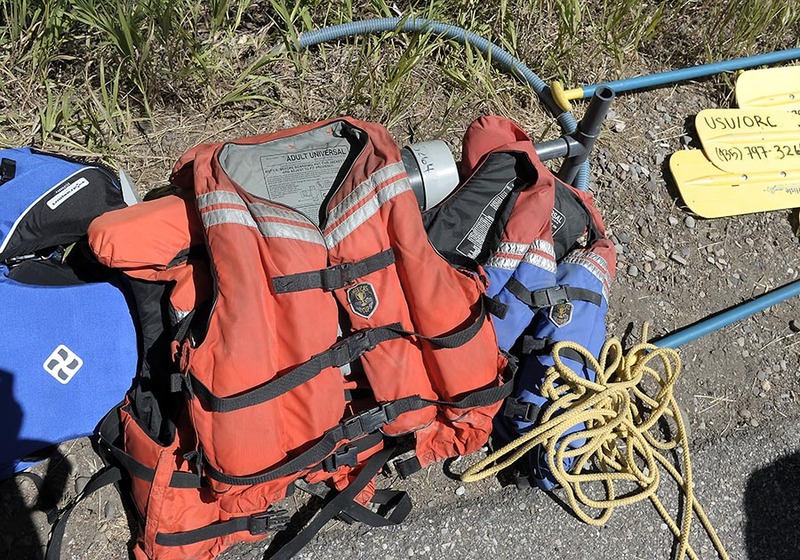 Life vests, sun screen, and insect repellant. I'd also suggest bringing a float bag to stow things that you don't want to get wet if you go overboard. There is an air compressor at the boat ramp that is free with a suggested donation. Camping with more than two people can be problematic, especially when you begin the trip in three different vehicles, from three separate locations, at three completely different times of day with seven people traveling nearly 150 miles to the campsite. Make that six people. In our hurry to leave, we sort of forget one would-be camper. You know how it is: We thought the other drivers were picking her up and they thought we were picking her up. 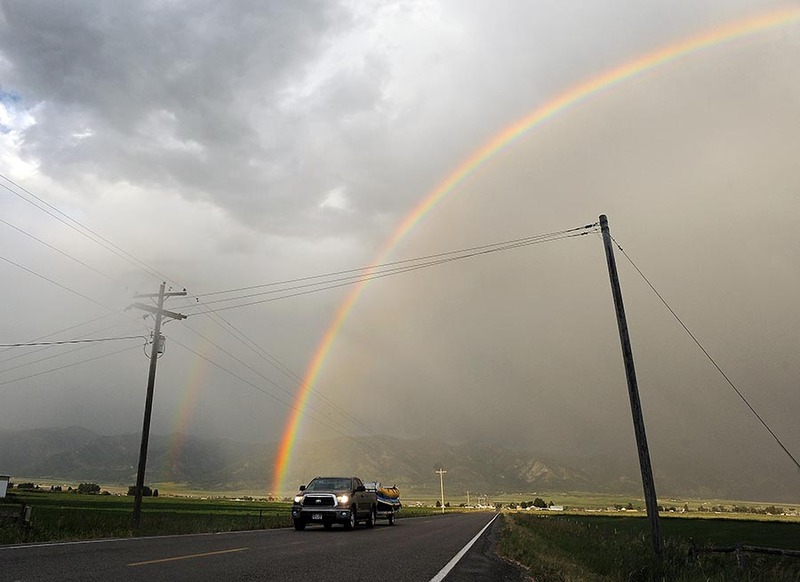 By the time we notice the missing person, we are already well on our way from Logan, Utah, to a weekend of rafting on the Snake River near the small town of Alpine, Wyoming. We drive up and down the riverside in search of our friends for nearly an hour. The orange glow of campfires line the road. Echoes of singing, laughter, and the sizzle of evening meals permeates the air. As we drive in and out of overpopulated sites filled with motor homes, John keeps saying, “Mike would never camp in a site like this. They must be running late.” Defeated, we return to that very first spot and set up camp. A chilly wind fans our fire as we enjoy dinner and a clear starry night. And unlike those times not too long ago when we pointed flashlights into the sky and guessed at the names of a few common stars, we have a constellation map at our fingertips. With a couple clicks on a mobile phone, we launch a free app and point toward a specific area of the evening sky. It instantly feeds back a detailed map full of constellation names and photos of galaxies, planets, and other cosmic marvels normally hidden from the naked eye. Our discoveries in the cosmos, however, are nothing compared to what we discover behind some trees just thirty feet away. Two of our lost campers, Mike and Emily, have already set up camp for the evening and soon appear to tell us how they were wondering when we’d show up. After a good laugh, the fire dies down and we drift to sleep. The following morning, Erik, our sixth person shows by breakfast. Person seven is packed, ready to go, and still waiting back in Logan for someone to pick her up. She gets to miss out this time, unfortunately, but we still have just enough people for a couple of runs down the river. Rafting is by no means new to this area. 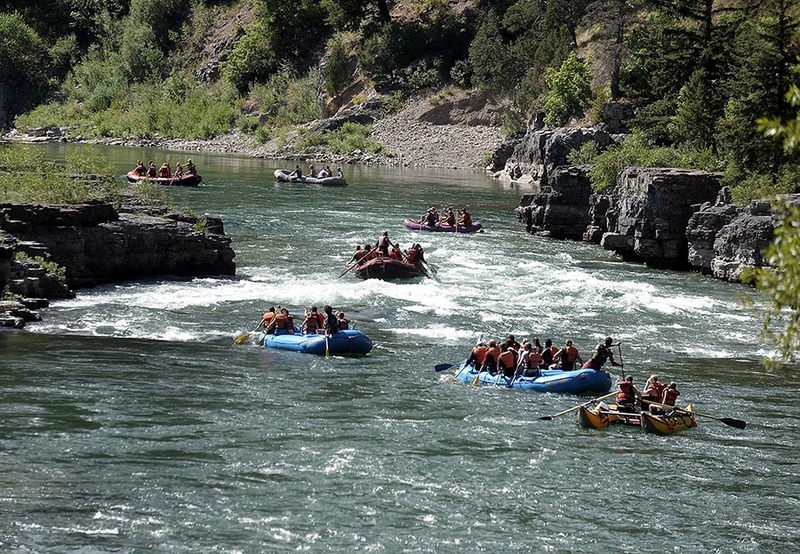 It has its roots in Wyoming beginning way back with the first rubber raft. Invented in the early 1800s by U.S. Army Lt. John Freemont and Horace H. Day, it was used for exploration of the Great Plains and Rocky Mountain region. Freemont first used this heavy square-shaped raft on whitewater in 1842 for his survey of the Platte River in Wyoming for the U.S. Navy. Our raft has come a long way from Freemont’s prototype. Multiple layers and air chambers provide extra protection against leaks and tears. PVC and synthetic rubber make those punctures less likely and aerospace protectant applied twice a year preserves the material’s integrity and provides protection from UV rays. Tapered bows with rounded sterns keep the boat from hanging up on rocks, helping the raft to ride the waves instead of crashing into them, unlike the square-shaped models of Freemont’s day. Rafts line the shore near our launch point at West Table boat ramp. 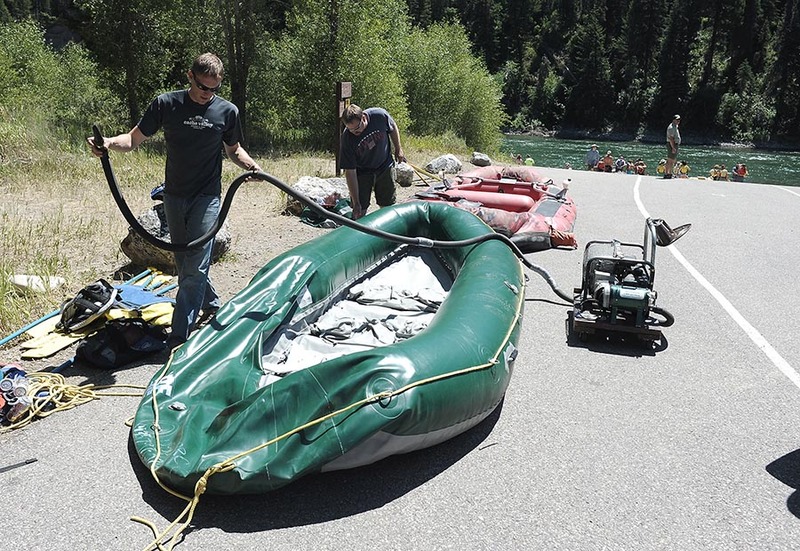 As we drive up, a ranger asks for our group name, how many in the group and the color of our raft, precautions should something go wrong and require search and rescue efforts. Groups of more than 15 need a permit. We have only six (seven if you count the person we left behind in Logan) so we’re good to go. Our rented raft comes with a hand pump, but we’re pleasantly surprised to find a gas-powered air compressor near the boat ramp. Better still, although donations are appreciated, there is no charge for using the compressor. Thanks to our good fortune, we’re ready to go in no time. 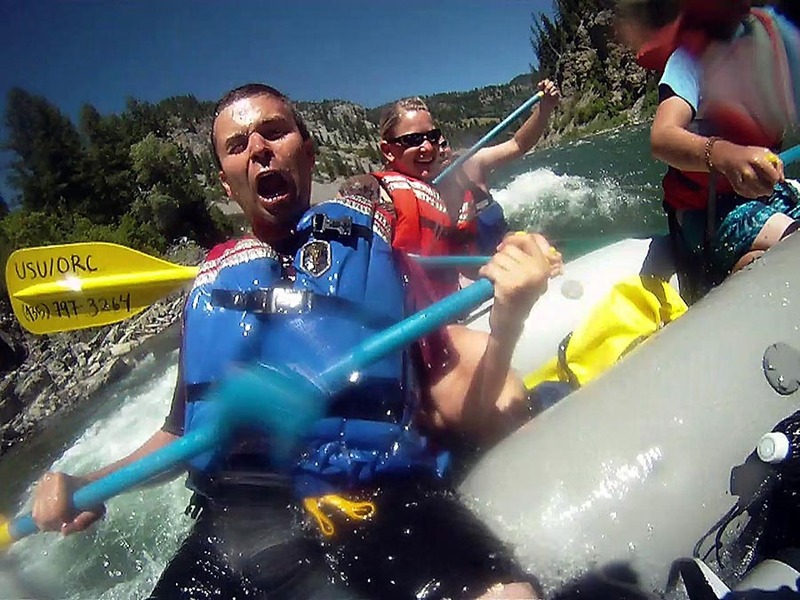 I will admit, this is my first rafting trip. 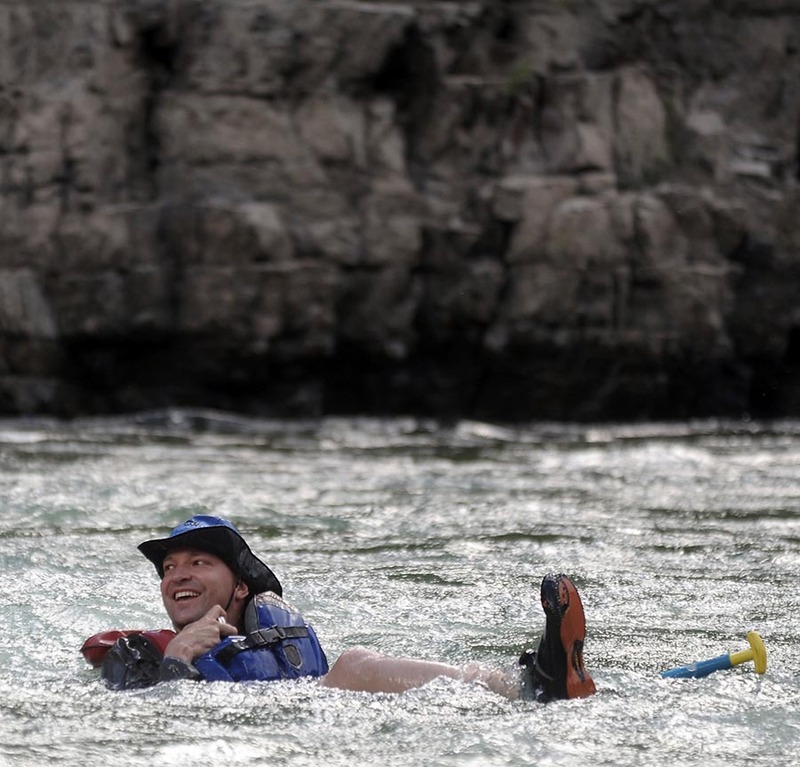 I’ve only heard rafting stories -- fish stories perhaps -- but stories, nonetheless. 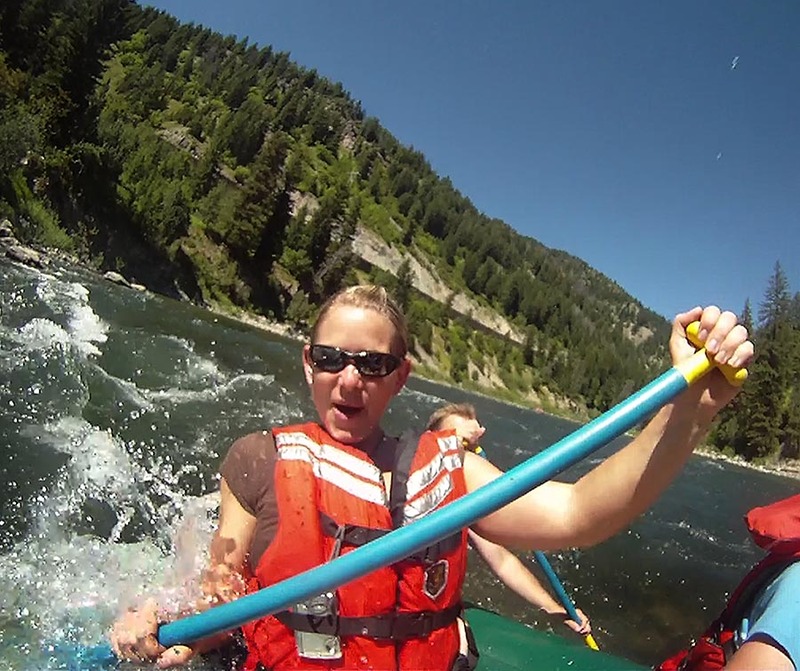 I resign myself to the fact that I will likely fly out of the boat at some point as our oars splash against the cool water, each stroke propelling us closer and closer to pockets of rapids -- monstrous entities no doubt -- just waiting to fire me into the air. 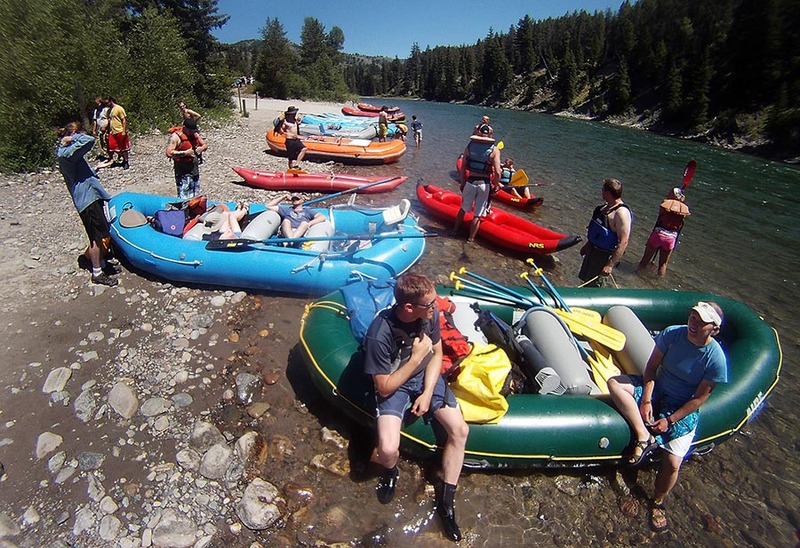 “If you get thrown off the raft,” one of our more experienced rafters cautions, “curl into a ball and don’t fight the current.” I soon learn that if you are floating with your head above water, you should point your feet down river. 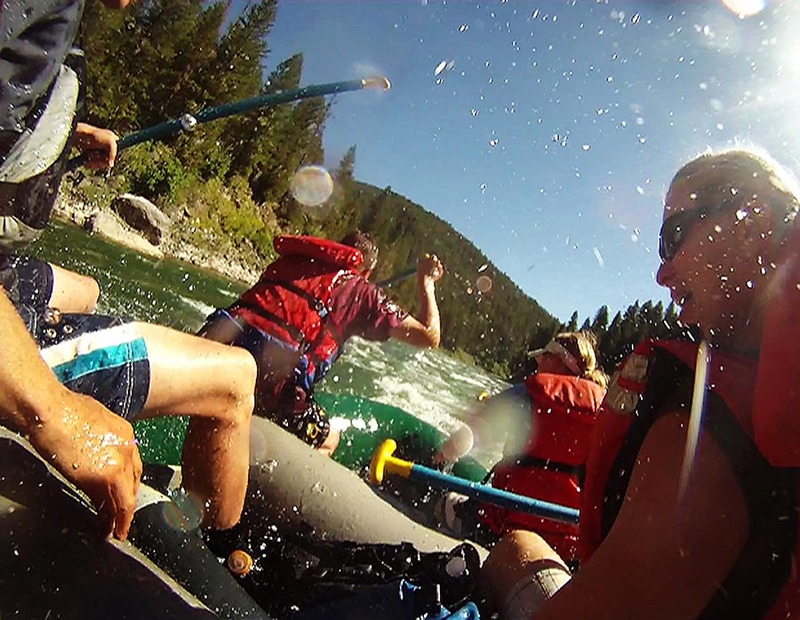 if you are stuck underneath the raft, choose one direction of escape and don’t change your mind, to prevent yourself from going in circles under the raft. You curl into a ball -- especially in turbulent waters like Big Kahuna -- when you are sucked beneath the surface. I visuaize curling into a ball over and over again. Besides, we’re well underway and there’s no turning back. Each set of rapids we encounter has its own unique character, most easily described in temperament. Like Big Kahuna.Whether the word “Kahuna” refers to its actual meaning in Hawaiian -- a priest, sorcerer, wizard, magician, or expert in any profession or to a slightly more modern usage common in beach party and surfing movies from the 1960s -- is not clear to this novice rafter. 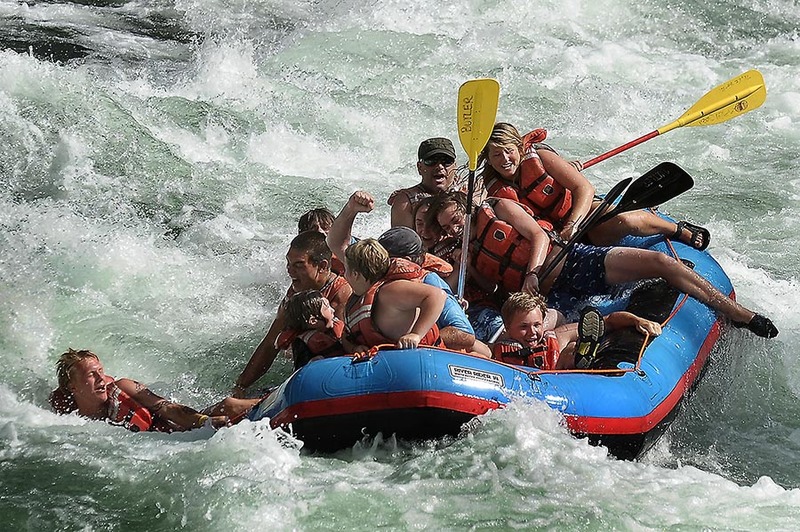 I am convinced, however, that an expert would likely fare better against these rapids than I did. The innate superstition has since haunted me that there really was an invisible wizard named Big Kahuna bent on dislodging me from the raft and tossing me into the chilly depths below, only to be defeated by my loyal rafting companions who pulled me back to safety, thereby preventing a cold river swim.Other rafters not in our group aren’t so lucky as they fly into the air, plunging through currents, holding on to oars as the river roars around them, waiting to be pulled back in. On one such cliff, a pair of photographer sentinels wait patiently to document the triumphs and misfortunes of the many dozens of groups passing through the rapids. Those desiring mementos of their trip signal to these moment-catching buzzards by raising an arm or an oar so they can later view and buy photos of their battle with the Big Kahuna. Nearby, a network of hiking trails and cliffs not far from parking areas above are filled with spectators waiting to catch any glimpse of overboard-castaways. 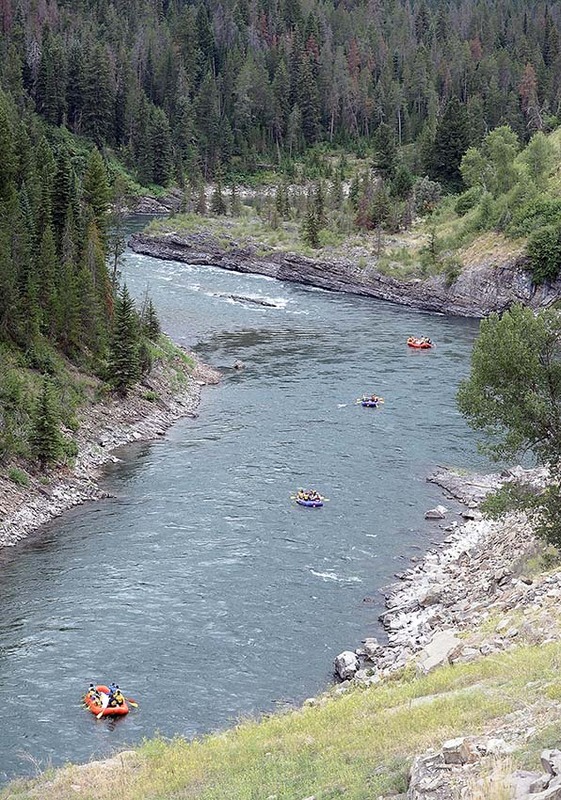 The Snake is home to a variety of rapids, each a unique entity in and of themselves, offering a fresh thrill through this vast area of aquaculture, agriculture, and recreation all built around its overpowering presence, the lifeblood of the region. 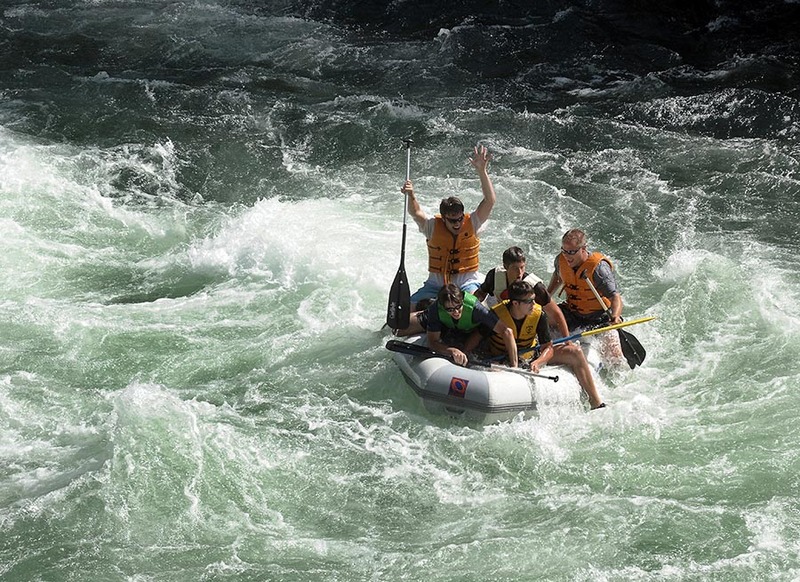 Rapids include Champaign, a more elegant but powerful surf with intoxicating bubbles and The Ropes, a series of giant rapids weaving around a bend and throttling rafts at high velocities. Add to the list Lunch Counter, Rope Rapid, California Curler, and Cottonwood. 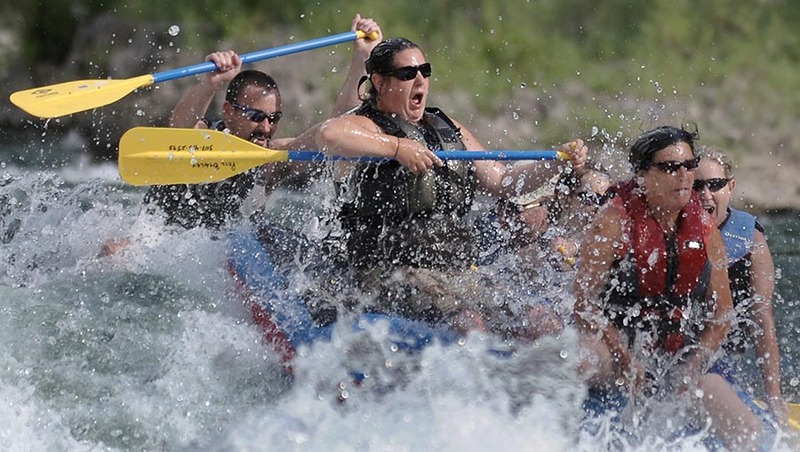 There are likely as many rapids and names for each as there are spirits fabled to wield their accursed power, each living up to the appellation of those early French trappers who were some of the first to grapple their intense forces. A “mad accursed river” indeed. Undaunted by our first encounter with the river, we skip lunch and make one more two-hour run, hoping to catch rapids we missed the first time, and anxious to take one more stab at battling The Big Kahuna. 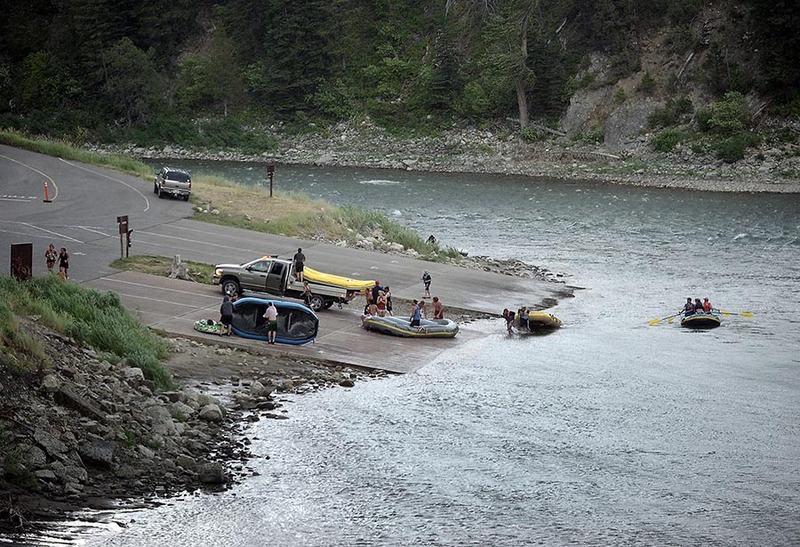 Our journey ends at the takeout point, Sheep Gulch boat ramp, where we deflate our raft and load our gear. 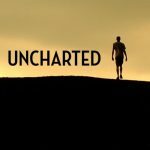 Soon, we’re up at the parking lot sitting on camp chairs enjoying a late tailgate lunch, still in awe of our adventure – and speculating as to what our forgotten rafter might be doing back in Logan.